This short, accessible piece is ideally suited for the close of Evensong or any evening service, and would complement a service with music by Tudor or Jacobean composers such as Amner, Byrd, Gibbons, Mundy, Tallis, Tomkins, Tye and Weelkes. This anthem is available as a digital download (PDF). 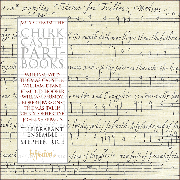 Buy the Hyperion CD recording "Chirk Castle Part Books Music"
This setting of the well-known Grace is attributed to William Deane, Organist of Wrexham in the early 17th century. It was edited by David Evans, Bangor University, Wales. The sources for this anthem are four surviving partbooks from Chirk Castle, labelled medius, countertenor, tenor and bass; a fifth volume was apparently already missing when the books were catalogued at Chirk in 1736 by the city merchant John Myddleton as 'four books of anthems in musik'. They are now in the New York Public Library (US-NY Public Library, MS Mus. Res. *MNZ (Chirk)). The second voice part (from the missing fifth volume) has been reconstructed by the editor. This text has been said at the close of services and meetings for centuries. This work has been broadcast by BBC Radio 3 Early Music Show and by BBC Radio Wales. It also appears on a disc sung by the Brabant Ensemble, conducted by Stephen Rice. The new works are undoubtedly significant additions to the repertoire. On that count alone this recording is self-recommending … the predominant sonority is familiarly clear, transparent and assured … for the sake of the new pieces alone, lovers of this repertory will welcome this enthusiastically. 'This is a beautifully conceived and exquisitely carried out program with much historical interest'. I am a Renaissance choral music enthusiast, and though I have no musical credentials to speak of, I do possess several hundred CDs of the genre which I listen to frequently, including all the output of the Tallis scholars, the excellent Byrd series on Hyperion etc. I have several other CDs by the Brabant ensemble which are also superb, but this one is special. 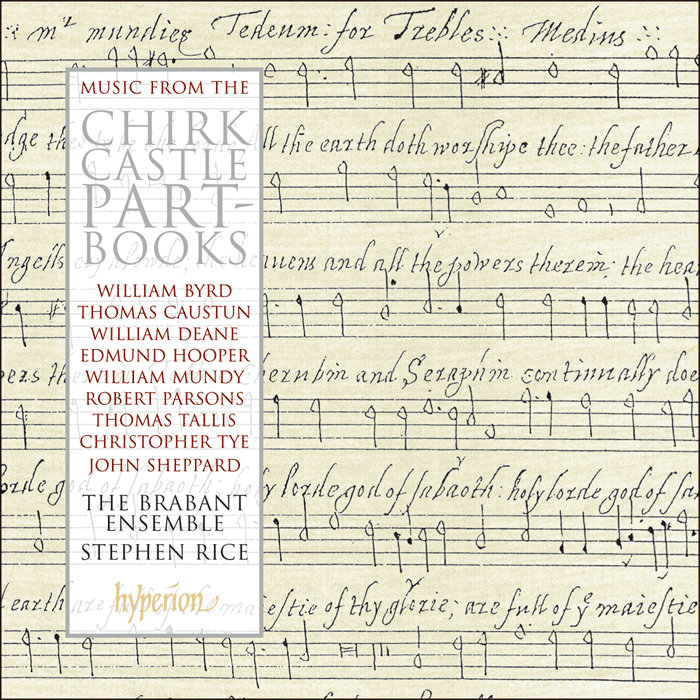 It does contain a few tracks by well-known English composers, but most of the others are by composers previously unfamiliar to me, like Deane and Causton, resurrected from ancient manuscripts found in this old English (sic.) castle. The music is really spectacular and beautifully sung, and this disk has become one of my favorites. If you enjoy this kind of music do not hesitate!